It’s your classic BDB, Erzulliestas! Black Dress + Boots! Erzullie designer, Berna Cuevas, wears her Erzullie black dress with some low ankle cowboy boots for that “pioneer posh” look. It’s the perfect balance of the combination of rough and sleek and it’s looking fierce! 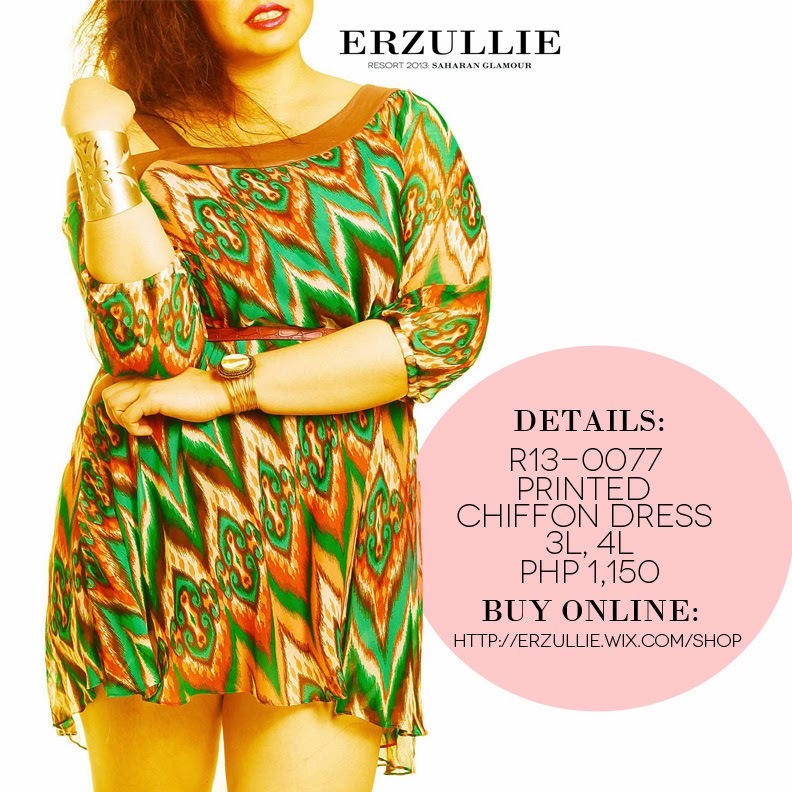 PLUS SIZE SHOP: CHIFFON PRINTED DRESS AVAILABLE ONLINE! Looking forward to your orders, ladies! Let’s have a little fun shall we? Fill In the Blank (FITB): If I had the money, I will fill my closet with _____. For me, I aside from Erzullie (ahem), I would fill it with local artisan shoes and accessories to be used for Erzullie photoshoots. What’s yours? Join our facebook page for the conversation! Keep it light and fun ladies!